Keith Stewart, M.B., Ch.B., the Carlson and Nelson Endowed Director of the Mayo Clinic Center for Individualized Medicine, will be joining a panel of experts to speak this week in Washington, D.C., about ways to improve patient care in the 21st century. 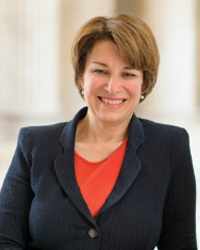 The Office of Senator Amy Klobuchar (D-MN) has invited the Personalized Medicine Coalition (PMC) to organize a Capital Hill briefing on personalized medicine. The briefing, co-organized by PMC and the offices of Sens. 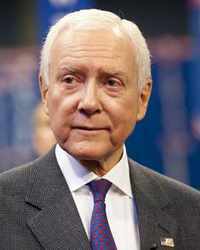 Klobuchar and Orrin Hatch (R-UT), is designed to educate members of Congress about how growth in this field translates to improved health outcomes for patients and decreased costs for the health system as a whole. 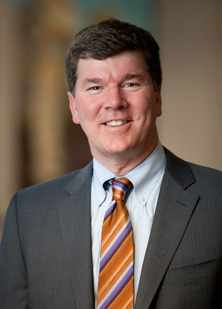 Scheduled for July 16, 2015, from 12–1:30 p.m. EDT, the panel of experts representing patients, health care providers and the biopharmaceutical and diagnostics industry will discuss what personalized medicine means for patients and examine relevant policy issues, including regulation and reimbursement. Personalized medicine, sometimes referred to as precision or individualized medicine, is an evolving field, in which physicians use diagnostic tests to determine which medical treatments will work best for each patient. By combining the data from those tests with an individual’s medical history, circumstances and values, health care providers can develop targeted treatment and prevention plans. With President Barack Obama’s support of the Precision Medicine Initiative, Sens. Klobuchar and Hatch have organized this Hill briefing to help Congress stay abreast of rapidly changing information in health care. With the U.S. Senate Health, Education, Labor & Pensions Committee and the House Energy & Commerce Committee now joining President Obama to support personalized medicine, representatives on Capitol Hill can no longer afford to be uninformed about the topic. Staying up to date on the latest trends in the field, however, can prove challenging. The panel of experts will provide an overview of what personalized medicine means for patients and examine relevant policy issues including regulation and reimbursement. Joining Dr. Stewart, also recognized as the Vasek and Anna Maria Polak Professor of Cancer Research at Mayo Clinic, will be Stephanie Haney, a stage IV non-small cell lung cancer patient; Greg Keenan, vice president, Medical Affairs & US head medical officer, AstraZeneca; Michael Pellini, M.D., CEO, Foundation Medicine; and Kathy Hudson, Ph.D., deputy director for science, outreach and policy, National Institutes of Health. HOW CAN WE ENSURE CONTINUED PROGRESS? Support for personalized medicine research can accelerate the pace of progress in developing targeted therapeutics and molecular diagnostics. A clearly defined regulatory process is essential to the field’s advancement. Policies should allow for efficient approval of personalized medicine products and services in order to sustain the rapid pace of innovation. Reimbursement policies must keep up with the pace of scientific innovation to support the timely adoption of personalized medicine technologies, including both diagnostics and therapeutics. Care should be taken to ensure that alternative payment models accurately depict the value of an intervention as well as the cost. You can follow the conversation on Twitter at #PerMed101. To learn more about the event, go to the PMC website. The Personalized Medicine Coalition, representing innovators, scientists, patients, providers and payers, promotes the understanding and adoption of personalized medicine concepts, services and products to benefit patients and the health system. . Mayo Clinic is a member of the PMC.